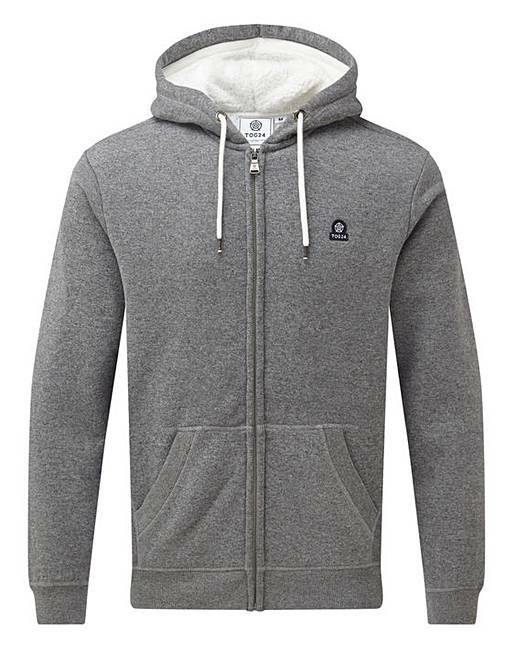 A versatile zip-through sweat hoody that makes a classic sports cover-up. The cotton-blend fabric presents a smooth peached outer, while inside the cosy deep-pile Sherpa fleece lining creates an unbelievably snug experience. Complete with cord-adjustable hood and kangaroo pockets � a great winter standby. 87pc Cotton, 13pc Polyester / Machine wash warm. Do not tumble.